I love this wall so much. It's much like a CG! One of my favorites along side Wing Zero. Great stuff! Thats a nice wallpaper. 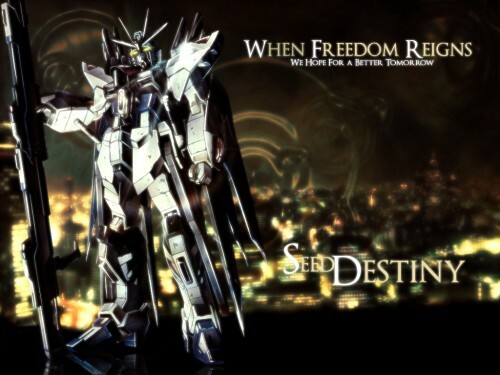 Strike Freedom looks impressive especially with that big beam rifle in hand and the lighting looks nice. very nice + + thank you . Awesome picture on of the better ones I've seen. Simple but very cool !